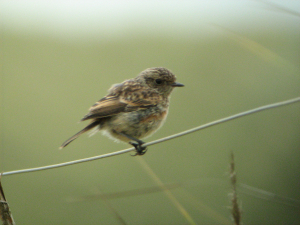 Observation - stonechat (juv) - UK and Ireland. Description: Typical chat upright pose but flight very bumbling as if they are not yet used to flying. Typical chat upright pose but flight very bumbling as if they are not yet used to flying.